Wow time is flying way too fast! I can't believe we are already 10 days into the new year! I have some exciting things I will be sharing with you in January! A book release and a great giveaway from Gordon's! Our Crew year started up again and you will start seeing those reviews at the end of February! I'm excited about the wonderful products I will be sharing with you! 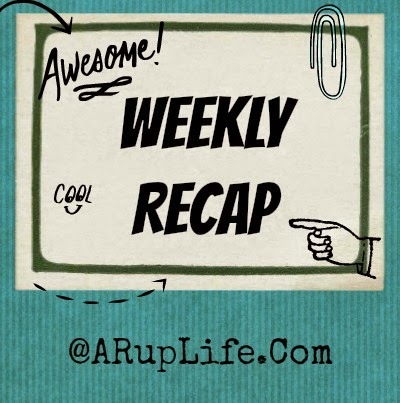 A Rup Life joined Instagram in December. Be sure to follow me on there so that you will get lots of sneak peeks on what is coming to the blog! As for the homelife - we are back to the grind! Homeschooling is going strong and the kids are plugging away at their lessons trying to finish strong and possibly a week or two early! 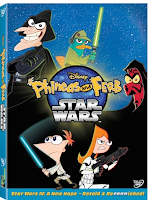 Phineas and Ferb: Star Wars DVD #Review & Activities!